Tension-type headaches are the most common, with almost one in three people likely to experience tension-related head pain each year. These types of headaches are generally experienced on both sides of the head and can last anywhere from an hour to a couple of days. While muscle tension in the neck or jaw can contribute to these headaches, tension headaches can also be caused by things like poor sleep patterns, stress, poor posture, fatigue, and bright lights. According to Dr Michael Vagg, pain expert from Deakin University, tension headaches relate "to a lowered threshold [for provoking a pain response] in an area called the trigeminal nucleus, which is the sensory processing area which covers the whole head and neck ... If you have several things feeding pain input into the trigeminal nucleus at the same time, then that can create this perception of a headache - pain where there isn't necessarily an injury." Tension headaches can be treated in many ways, including medication, avoiding emotional tension, and massaging the suboccipitals muscle group under the back of the skull. Migraines are the second most common type of headache, with roughly one in ten people likely to experience a migraine at some point in their lives. This makes migraine the seventh-most disabling condition worldwide according to the Global Burden of Disease 2015 study. Migraine headaches typically produce a more severe type of pain than tension headaches, with this condition usually affecting one side of the head at a time. Unlike tension headaches, people with migraines may also experience visual disturbances, nausea, and light sensitivity. "Migraines tend to run in families and they tend to begin in childhood and be a lifelong predisposition," said Dr Vagg, adding "They don't always continue throughout your life but you always have a tendency towards them if you encounter the right triggers." 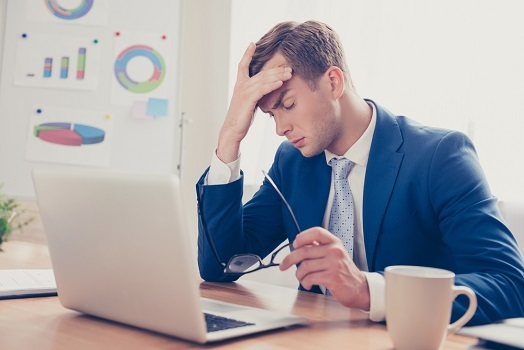 It's important to note than migraine headaches are not always more severe than tension headaches, with some people likely to experience relatively mild symptoms. Migraines can be treated in numerous ways, from preventative self-care measures through to pain medications and physical therapy. While tension-type headaches and migraines make up the vast majority of headaches, other headaches can also arise from genetic, environmental, and emotional factors. Headaches from medication overuse are relatively common, especially those involving codeine and other opiates. Dehydration headaches may be the result of a fever or stomach bug, with cluster headaches and chronic daily headaches less typical but still widely recognised in the medical community. While headaches are common, you should always see a doctor if you're concerned in any way or experience the onset of sudden or severe symptoms.